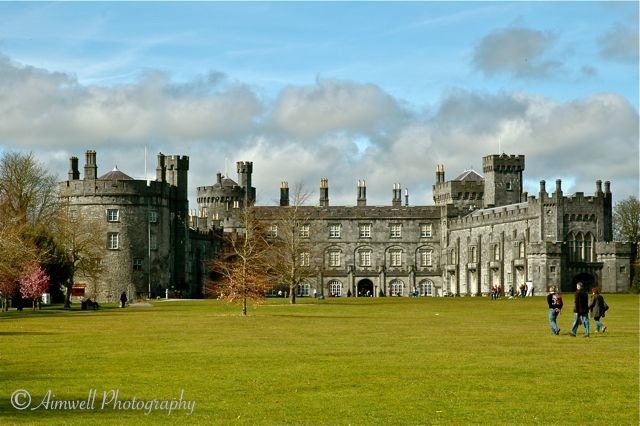 During our wonderful trip to Ireland in spring 2011, we had the pleasure of staying overnight in the ancient town of Kilkenny. Like most Irish communities, it’s been experiencing tough economic times as evidenced by boarded up businesses in the town’s centre. Still, its historic essence is intact, so it was satisfying to take a gentle stroll along the River Nore, amble over the fields of Kilkenny Castle, contribute to the local economy by gift shopping in the old converted castle stable complex, and soak in the town’s storied religious and political past. 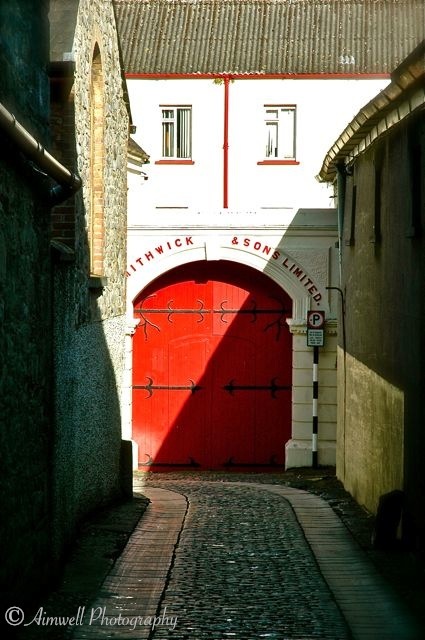 A prominent landmark located on the site of an old abbey by the river and just up the way from the castle is Smithwick’s Brewery. We happened upon it during our wanderings, and the sun just happened to be shining, between rain showers, at the right angle for me to be able to capture this image. Somehow, to me, nothing says “Welcome” quite like a red door. Even though I’m not much of a beer drinker, I’m always in for some history. Unfortunately a tour of the brewery wasn’t possible as we were there at the wrong time of day. While we were in town we also visited two beautiful churches, but that’s a story for another day. This entry was posted in Castles, Europe, History, Ireland, Photography, Travel, Uncategorized, Writing and tagged castles, Ireland, Light and shadow, Photography, spring, Travel. Bookmark the permalink. Nothing like a good Irish brewery. Eye to Heart is one of my favorite blogs thus far!